Assoc. Prof. Strugnell applies next generation sequencing tools to help solve bottlenecks in fisheries and aquaculture industries. Supported by the ARC, her laboratory group is investigating population differentiation, recruitment and adaptation in a range of commercially important lobster species. They also work on marine species that are shifting range in response to climate change and are investigating the genetic basis for resilience and susceptibility to temperature stress in abalone. Jan’s group also investigates population and species level molecular evolution in a range of marine species including yellow tailed king fish, oysters, octopods and sharks. Prof. Simpfendorfer has more than 25 years of experience in researching sharks, and has published extensively in the scientific literature on shark biology, ecology, fisheries and conservation. Prof. Jerry has worked with aquaculture species for 15 years and the genetics of aquatic organisms for 20. Since joining James Cook University in 2003, he has built an internationally recognised research group with a major focus on the development of genetic tools and knowledge to inform selective breeding programs for aquaculture species. Dr Angell is part of the Animal Nutrition and Health project within the Centre for Macroalgal Resources and Biotechnology. His research focuses on the development of algal feed and algal feed additives for aquaculture production systems. Dr Angell is working with domestic and international industry partners to develop a number of algal feed products that aim to improve the quality, production and health of aquaculture animals. Assoc. Prof. Ariel worked for the European Commission for 11 years with biosecurity of aquatic animals, especially aquaculture and standardizing and harmonizing diagnostic capacity across borders to prevent spread of disease and facilitate safe trade in live fish.Her main research interest is aquatic animal health in all its variations, but especially virology. Claudia is an interdisciplinary marine and social scientist specialising in tropical environments. She holds the position of Lecturer in Environmental Management at James Cook University. Her recent work has explored the ecological and social impacts of industrial development in Australia and the Pacific region, with a particular focus on coastal social-ecological systems. Prior to joining JCU in February 2017, Claudia worked for the Australian Government in marine conservation management planning, and as a postdoctoral research fellow with the Global Change Institute, University of Queensland. Assoc. Prof Cobcroft has engaged in aquaculture research for over 20 years, largely focusing on solving challenges in the hatchery production of marine finfish species. Her research has spanned larval visual development, tank environmental conditions to optimise feeding, water treatment systems to reduce parasites and pathogens in the hatchery, and finding solutions to skeletal deformities that impact commercially cultured fish. Dr Cole leads the Products from Oedogonium project within the Centre for Macroalgal Resources and Biotechnology. This program works on aquatic waste streams from diverse industries, including aquaculture, agriculture and municipal waste. It aims to optimise macroalgal biomass production and bioremediation for each waste stream at scales that are relevant to industry needs. The overarching goal is to provide a cost effective option for nutrient bioremediation and a platform for sustainable and commercially viable macroalgal biomass production. As the leader of the Centre for Macroalgal Resources and Biotechnology, Rocky’s role focuses on the planning, organisational and management requirements for the successful delivery of multi-disciplinary research and its application. Rocky manages industry partnerships that take the outcomes of our work to deliver innovative products and processes ranging from food products to fertilisers, and biological carbon capture and storage using biochar. Dr Domingos research focuses the development of efficient selective breeding programs for tropical aquaculture species. This involves the understanting and manipulation of endogenous and environmental factors affecting gonadal development and broostock conditioning within appropriate maturation systems for reliable spawnings. Jose is particularly interested to boost farm productivity by developing fast growing and disease resistant strains through the use of cutting-edge genomic tools and quantitative genetics as a means to achieve sustainability and profitability of aquaculture in the tropics. Jose has a long involvement with commercial aquaculture operations; prior to becoming and academic he has managed over 700 hectares of prawn farming in Brazil. Trained in Brazil (Oceanography, FURG; MSc. Aquaculture, UFSC) and Australia (PhD Aquaculture Genetics, JCU), Jose has 20 years of combined industry, government and academic background. As a new member of JCU Singapore Aquaculture Research team, Jose is excited about creating a brighter future for life in the tropics through applied R&D projects and training MSc and PhD students in discoveries that make a difference. Dr Foote is a Postdoctoral Research Fellow, working principally in the phenotype acquisition team on the ARC Research hub for Advanced Prawn Breeding. He has experience in running a range of replicated prawn trials including reproductive performance, nutrition, ploidy manipulation and viral challenges. He has experience with techniques for high-throughput, automated processing of prawn tissues using robotics for genotyping and viral assays as well as advanced imaging and gene expression techniques. Dr Foyle works within the production and hygiene of foods of animal origin, food security and subsistence farming, production animal disease, welfare at slaughter, zoonoses and biosecurity. Prior to becoming a veterinarian, I obtained a certificate in science in aquculture and I completed my Masters in Science with distinction in Aquatic Veterinary Studies from the Institute of Aquaculture in Stirling University, Scotland. April is a post-doctoral research fellow; her research activities explore fundamental concepts of coral reef fish ecology, with a particular focus on marine parks management and conservation of coral reef fish communities. April’s current research activities are focussed around evaluating the value of conservation park (yellow) zones to biodiversity conservation in the Great Barrier Reef Marine Park. April holds an Advance Queensland Post-Doctoral Research Fellowship, and works in collaboration with the Great Barrier Reef Marine Park Authority, as well as the Reef and Ocean Ecology Laboratory. April’s PhD research focused on the importance of predatory fishes on reefs, and the trophic impacts of predator removals on coral reef fish communities. 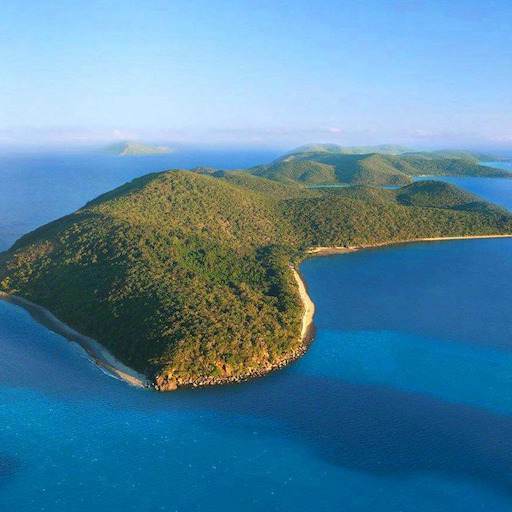 This project provided valuable information on how fishing of predators affects trophic dynamics on the Great Barrier Reef, and demonstrated the utility of no-take marine reserves in protecting ecosystem processes on reefs. Other research projects include investigation of the demographics, reproduction and habitat associations of nemipterid fishes, as well as collaborative projects examining spatial and temporal trends in coral trout abundance in the Capricorn Bunkers. Dr Heupel has been involved in consultancy work, research projects via James Cook University and as Research Director for AIMS@JCU (a joint venture between the Australian Institute of Marine Science and James Cook University). Michelle is currently a member of Australia’s Threatened Species Scientific Committee, a committed member of the IUCN Shark Specialist Group and acts as a Subject Editor for Marine and Coastal Fisheries and an Associate Editor for Animal Biotelemetry. Michelle’s research has centred on the movement and ecology of predatory fish and has produced 5 book chapters, 9 technical reports and over 60 journal publications. Dr Huerlimann's interests lie in the development and application of genomic and bioinformatics tools to answer research questions. Dr Huerlimann works across two research groups. For TropWater he is developing and optimising metabarcoding protocols. Metabarcoding uses universal PCR primers to simultaneously identify species composition and biodiversity in various sources of enivronmental DNA (eDNA), including water samples, stomach content of fishes, or faecal matter. Dr Huerlimann is a Postdoctoral Research Fellow in the ARC Research Hub for Advanced Prawn Breeding, mainly working on genome/transcriptome bioinformatic analyses. Roger is experienced in molecular lab based activities (RNA/DNA extractions, quality control, library preparation), next-generation sequencing, and de novo assembly of transcriptomes and genomes. He is responsible for co-ordinating the sequencing, assembly, annotation and analysis of the Penaeus monodontranscriptome/genome. Dr Hutchinson is based at our Singapore Campus, where his research focuses on how mobile organisms utilize often heavily impacted coastal habitats, such as mangroves and seagrass beds. He is currently examining the ecology of mesopredators, including bamboo sharks, in these systems. He has over 15 years’ experience working in marine ecology in tropical and temperate systems and co-ordinates the Bachelor of Business and Environmental Science program at JCU. Dr. Hua holds a PhD in Fish Nutrition from the University of Guelph, Canada. She worked at the University of Guelph as a Postdoc fellow and adjunct professor. Afterwards she worked as a Junior Professor at the Humboldt University of Berlin, Germany. Dr. Hua primary research interest is to optimal fish feed formulations to promote fish growth and nutrient utilization. One of her expertise areas is nutritional modelling, exploring the synergy of empirical and modelling approaches to integrate and synthesize information. Dr Clive Jones is an internationally recognised expert in the aquaculture of rock lobster and freshwater crayfish, with 35 years’ experience as a research scientist. He is currently a Principal Research Fellow at JCU, where he leads research projects that are developing aquaculture production technology for commercial application. His research and expertise covers the gamut of disciplines involved in aquaculture, including reproduction, hatchery, growout, nutrition, health and disease management. His research is applied and often in direct collaboration with industry to develop new methods and address knowledge gaps. Current projects are focussed on tropical rock lobster farming in Indonesia and redclaw aquaculture in Australia. Dr Jones is motivated to address poverty in developing nations in the tropics through the development and application of aquaculture, and to assisting Australia meet its potential for tropical aquaculture. Dr. Sandip Kamath is a Research Fellow at the Molecular Allergy Research Laboratory in the Division of Tropical Health and Medicine at James Cook University, Townsville. Dr Le Port’s research focuses on the use of cutting-edge and traditional molecular approaches for the conservation and protection of Australia’s unique aquatic fauna. She currently works with environmental DNA (eDNA) to address a broad range of biosecurity and ecological conservation applications. In particular, Agnes is developing innovative eDNA methods for detecting pest species (e.g. tilapia) and species of conservation concern (sawfish) across Australia. Prof Andreas Lopata leads the Molecular Immunology Research Group in the College of Public Health, Medical and Veterinary Sciences. Prof Lopata’s research team uses cutting-edge approaches in characterising the interactions of immunogenic proteins from different food sources including marine invertebrates and parasites with the human immune system leading to allergic and inflammatory reactions. He has published over 120 journal articles and presented at over 200 national and international conferences [H-index=30]. The outcomes of his research activities translate into the development of novel diagnostics and platform knowledge for immunotherapeutics. Dr Neveux is part of the Macroalgal Biofuels and Bioproducts research group. His work focuses on the production of marine and freshwater macroalgae in integrated land-based systems, particularly in the context of bioremediation of aquaculture effluents and municipal wastewater. He is also involved in the research and development of valuable bioproducts derived from macroalgae, including nutraceuticals, human food, animal feed, biofuels and fertilisers. Dr Nuez-Ortin owns over 12 years of experience conducting animal nutrition research with emphasis on aquaculture species. His current wok focuses on the use of shotgun molecular approaches to understand diet- and environmentally-induced physiological changes and to ultimately adopt more efficient feed formulation strategies. Australia's foremost aquatic animal disease specialist, Assoc. Prof. Owens instigated the study of bacteriophage at James Cook University. Most interested in bacteriophage in the Vibrio harveyi clade and viruses of crustacea especially the parvoviruses and the use of RNA interference to combat them. Interested in nodaviruses of fish and crustacea and RNA intererference as a control. Investigating the role of viral UTRs in controlling immunity and diabetes onset. Dr. Paris is a cross-disciplinary reproductive/molecular biologist with interests that include developing assisted reproductive technologies for animal production, and studying the impact of adverse environmental conditions on fertility. His group uses in vivo/in vitro fertilization systems coupled with gamete & molecular biology techniques to investigate the underlying mechanisms that affect gamete (sperm & egg) quality & embryo survival in both aquatic & terrestrial animals. Moreover, his group actively develops mitigation strategies that will ultimately improve reproductive performance in these species. He is currently involved in developing advanced reproductive techniques to characterize infertility and accelerate selective breeding in barramundi. Dr Pirozzi’s research focus include understanding the nutritional requirements of aquaculture species and how this affects the physiology and metabolism of fish. A major research outcome of his research is in the development of bioenergetically optimum, sustainable fish diets. Dr Praeger's research focuses on the controlled reproduction of macroalgae at scale in order to provide a reliable source of seedlings. A central theme of her work is the development of bioremediation technologies for the aquaculture industry with a research focus on innovative, sustainable and tailored cultivation technologies of high-value seaweeds, in particular filamentous green seaweeds. Dr Praeger is the recipient of a Queensland Accelerate Fellowship with the Queensland Government and industry partners MBD Energy and Pacific Reef Fisheries to develop novel techniques for the settlement and grow-out of a high-value seaweed species. Dr Roberts leads the Fertilisers and biostimulants project within the Centre for Macroalgal Resources and Biotechnology. This project focuses on demonstrating and delivering on-site remediation of aquatic waste streams to optimise macroalgal biomass production and bioremediation at scales that are relevant to industry needs. In addition, the program considers the production of a range of end-products from cultivated biomass, with a particular focus on products that can be used in the agricultural industry. Dr Saunders is a Senior Fisheries Biologist with the Queensland Department for Agriculture, Fisheries and Forestry as part of the Centre for Sustainable Tropical Fisheries and Aquaculture. His interests include all aspects of fish biology, particularly applied fisheries research. Prof. Sheaves has been researching the ecology of tropical estuaries, coastal wetlands and mangrove systems since the early 1990s, and has published widely in these fields. He leads a number of substantial research projects within Australia and across the Asia-Pacific region. He has extensive collaborations with research and management organisations both within Australia and internationally. Catarina’s research involves understanding processes related to marine population dynamics (such as dispersal and gene flow), investigating the complex mechanisms driving the distribution of organisms (using for example seascape genetic approaches) and understanding evolutionary aspects of adaptation (such as genetics of complex traits and adaptive responses of organisms to environmental change). Catarina is currently using genomic tools to investigate neutral and adaptive processes influencing the genetic structure and divergence patterns of a range of commercially important lobster species and is also applying genomic tools to tackle challenging issues and opportunities in fisheries and aquaculture. Catarina also aims at translating research results to inform conservation and management decisions and at communicating science-related topics to non-scientists. Dr van Herwerden’s current research focuses on connectivity and population structure, emphasising conservation and fisheries management applications. She also researches acclimation and adaptation of tropical fishes to environmental stressors. Another of her research interests is on reef fish evolutionary history and response to environmental change, including identification, characterisation and expression of candidate genes. Finally, she contributes substantially to the field of transgenerational acclimation to stress and the utility of epigenetic mechanisms, applied to coral reef fishes. Dr Vucko leads the Animal Nutrition and Health project within the Centre for Macroalgal Resources and Biotechnology. His research focuses on the development of algal feed and algal feed additives for animal production systems and aims to (i) demonstrate the potential of using algae as an alternative protein source for non-ruminant herbivores; (ii) develop sustainable algal feed supplements for ruminant grazers; and (iii) reduce methane emissions in ruminants using the natural secondary metabolites found in algae. Assoc. Prof. Zeng's research interests include development of culture techniques for commercially important crustaceans and marine ornamentals; ecophysiology and behaviour of crustacean larvae and juveniles; toxicology of effluent water to aquatic animals; crustacean nutrition and formulated feed development; as well as copepod biology and culture. He currently leads two research teams focusing on tropical crustacean aquaculture and captive breeding of marine ornamentals respectively at JCU. Prof. Zenger has more than 18 years’ experience conducting research and teaching within the disciplines of applied animal production and quantitative / evolutionary genetics on both aquatic and terrestrial animals. Prof. Zenger teaching responsibilities encompass his core research strengths of animal genetics and applied animal production at both undergraduate and postgraduate levels. Prof. Zenger currently supervises 14 PhD students, and maintains a diverse group of research associates through his ongoing collaborations. 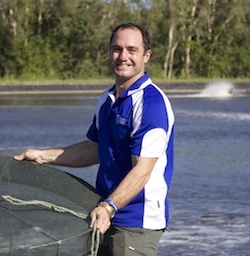 He is the current Aquaculture course program coordinator and Head of Aquaculture academic group within the College of Science and Engineering at James Cook University.